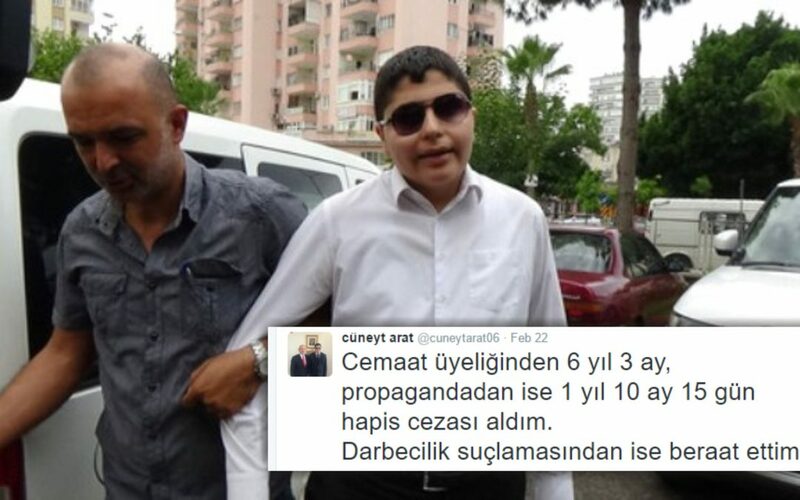 Visually impaired Turkish journalist Cüneyt Arat was sentenced on Feb. 22 to 6 years 3 months in prison due to his alleged links to the Gülen movement, which the Turkish government accuses of masterminding a coup attempt on July 15, 2016. Arat tweeted that he was also given one year, 10 months and 15 days jail time for promoting a “terrorist” organization. “I was given 6 years, 3 months over movement membership. I was also given 1 year, 10months and 15 days for [Gülen] propaganda. I am acquitted of coup involvement accusations.” Arat said in his tweets. Arat was arrested on July 21, 2016, for social media posts that allegedly praise the Gülen movement. The disabled journalist has been under house arrest wearing an electronic ankle bracelet since then.